1) If liquid soap just isn't cutting it to remove tough lipstick or gel liner from your brushes, use a small amount of an oily product like a cleansing oil or even extra virgin olive oil to break down the stubborn makeup on your brushes. Just make sure you wash all of the oil out before leaving to dry! 2) Always make sure you clean the middle bristles where remnants of foundation like to lurk and breed bacteria. When washing your brushes you need to really work the soap into the middle as well as the outer bristles to give your brushes a proper clean. 3) When you are running your brushes under the water, make sure that they are facing downwards. If water gets into the ferrules (I think that's the fancy world for the handles), it can dissolve the glue that is holding the bristles in place so it can make your brushes shed more easily. Also remember this when leaving them to dry, I find rolling up a flannel and placing it under the handles of the brushes works well to stop the water trickling into the ferrules. 4) Remember to reshape the bristles of your brushes whilst they are damp as they will dry in that shape. If your brushes have bristles flying out in all directions, just take some time to mould them back into place and you will feel like you have a brand new brush set once they are dry. 5) Leave your brushes somewhere warm overnight to speed up the drying process. I used to leave my brushes on my chest of drawers after cleaning and they would always be too wet to use the next day which was sooo frustrating. Now I pop them in the airing cupboard overnight and they are ready to be used as soon as I wake up, even with my 6am starts for work! 6) Don't forget to clean all of those makeup tools that might not necessarily reside in your brush pots. Things like the makeup brushes you keep in your handbag, makeup sponges and the spoolies on the end of brow pencils probably need cleaning too. You can even pop your makeup sponges in the washing machine, I do this with mine and it never damages them! 7) For my last tip, I have to acknowledge that sometimes a deep clean is just not an option. When you have a last minute invitation to an event and all of your brushes are covered in black eyeshadow from a failed attempt at recreating a smoky eye from a YouTube video, ain’t nobody got time to wash brushes with water. 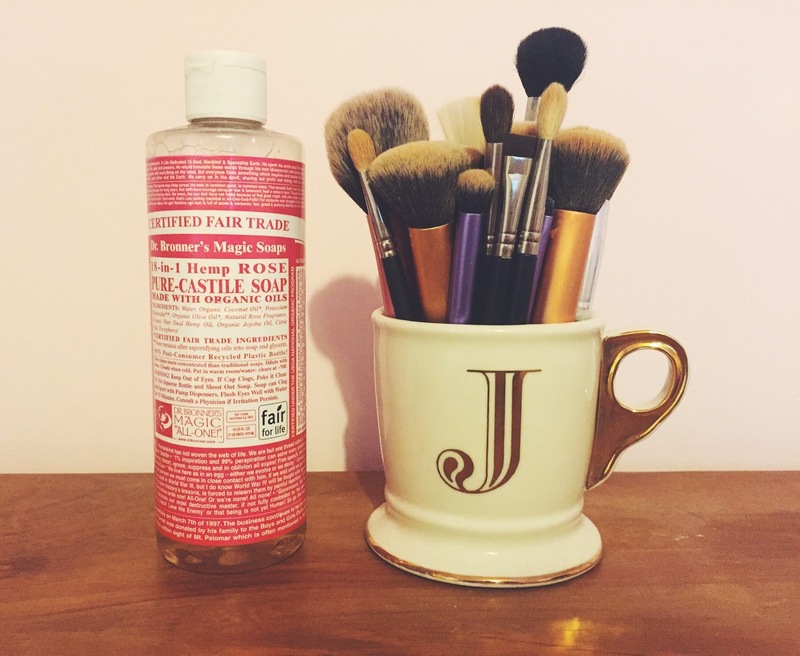 Keeping a speedy brush cleanser like this MAC one is a great time saver for moments like this. A small pump of this on a flannel and a quick swirl of your brushes will leave them free of colour and ready to be used again instantly.